All shapes. All sizes. 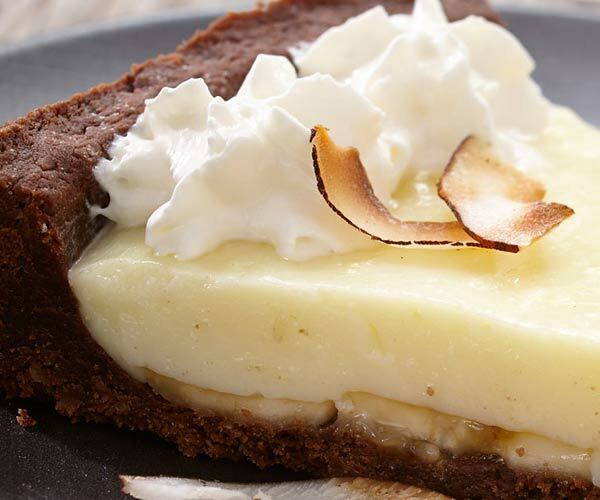 All delicious. 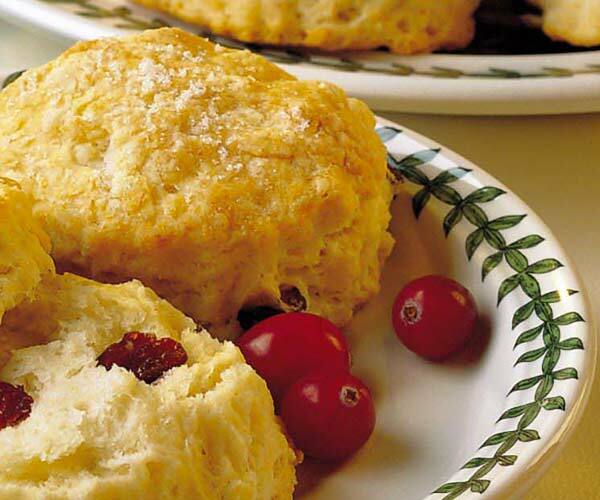 Hewitt’s Homogenized Milk is a natural dairy product which provides higher quantities of naturally occurring milk fat. The fat in milk is what contains the natural occuring Vitamin A. 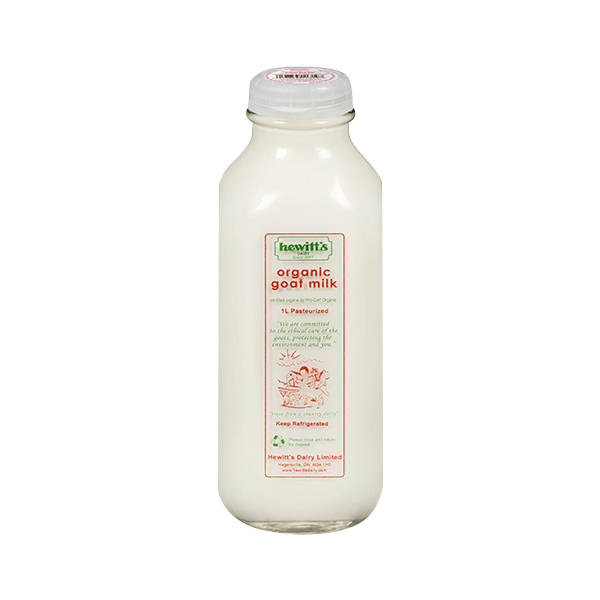 USES: Hewitt’s Homogenized Milk is a thick, rich, satisfying beverage which is naturally nutritious. 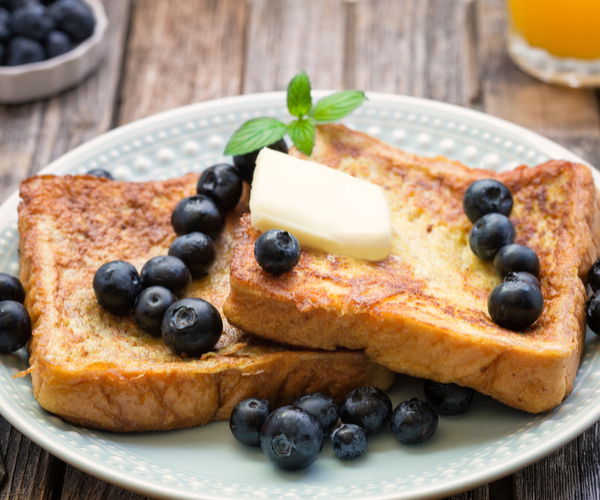 Milk has a multitude of uses from a quick snack to a wonderful ingredient in sauces and recipes. 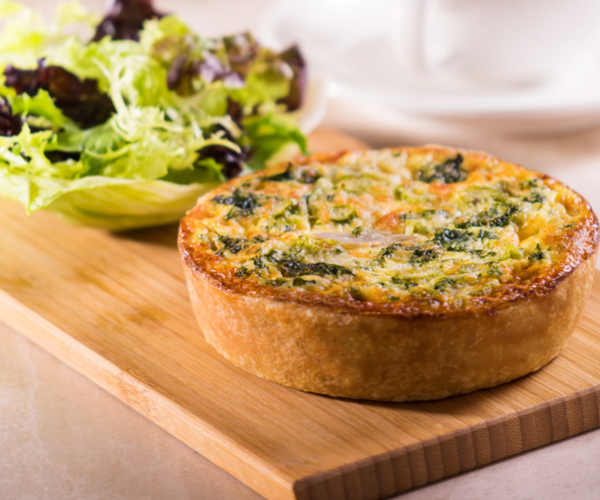 It creates thick, smooth, and rich flavours and textures in all your cooking and baking. 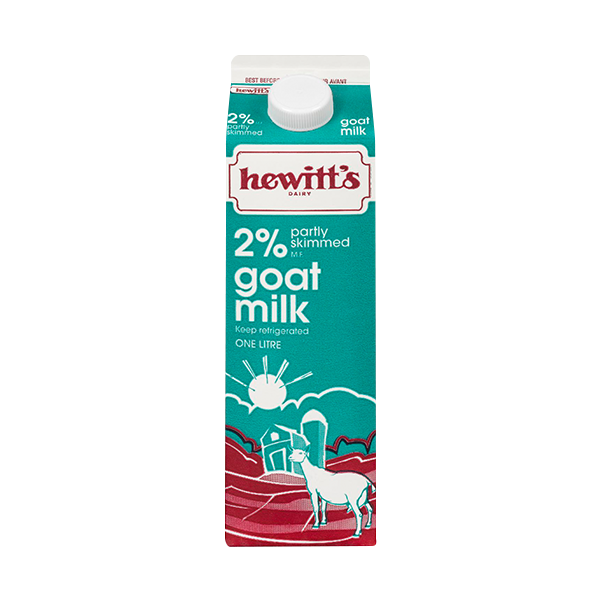 Hewitt’s 2% partly-skimmed milk is a natural product containing calcium; adding only vitamin A and D3 to benefit your health. 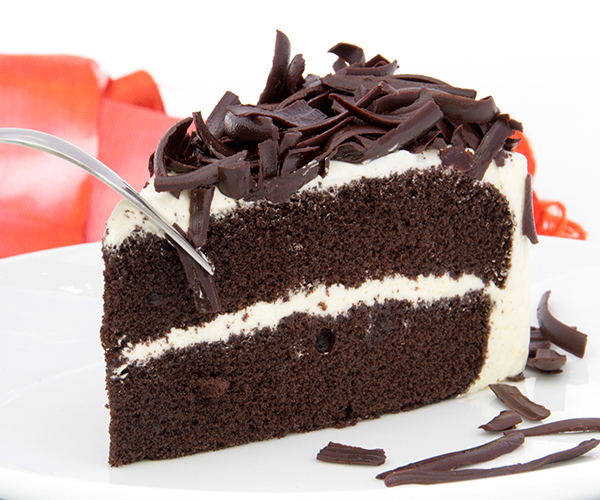 2% Milk offers the rich flavour and texture of milk without all the fat. 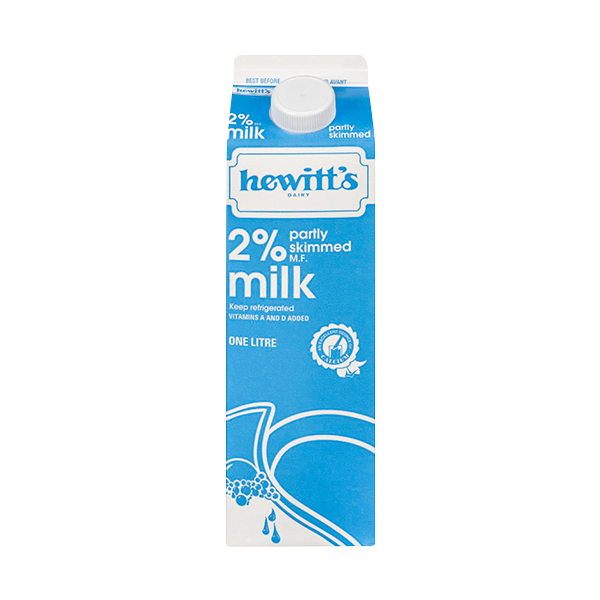 USES: Hewitt’s 2% Milk is a nutritious, refreshing beverage which can be enjoyed on its own or used in many recipes from soups to desserts adding richness and texture. 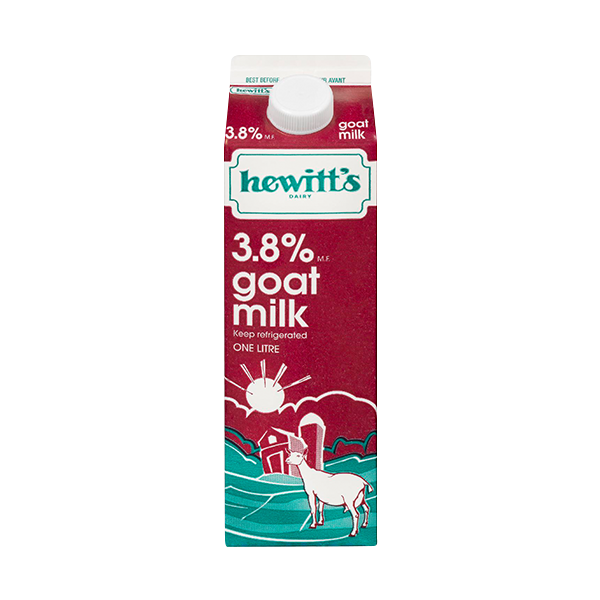 Hewitt’s 1% partly-skimmed milk contains the nutritional benefits of full fat milk; only Vitamins A and D3 are added. 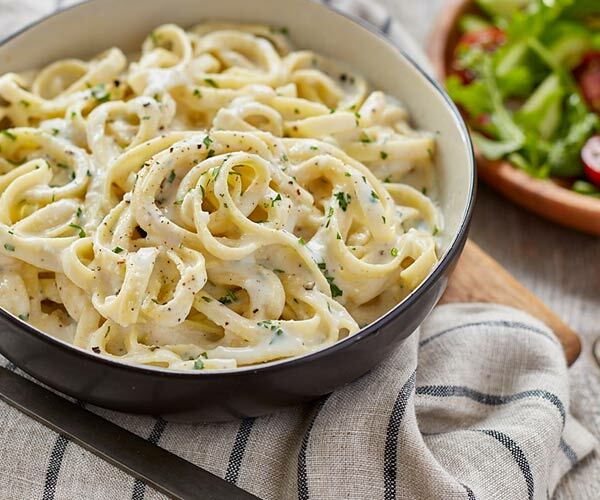 Our 1% Milk is a low fat product developed for people who are conscious of the amount of fat consumed in their total diet, without wishing to sacrifice the nutritional benefits of dairy products (eg. natural calcium). 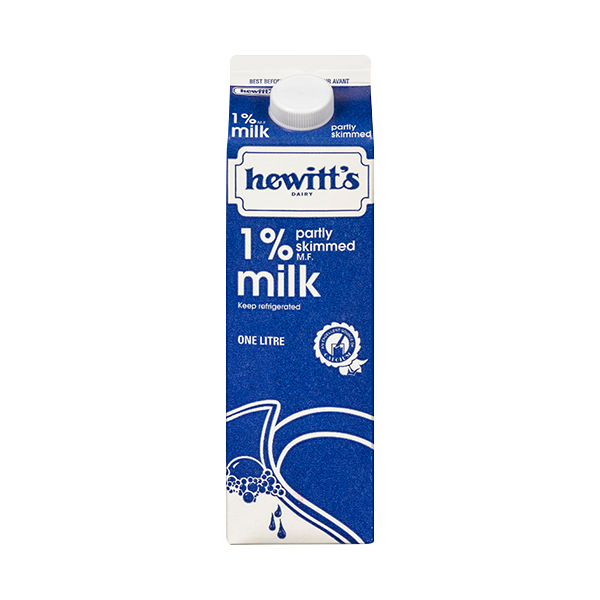 USES: Hewitt’s 1% Milk is a nutritious, refreshing beverage which can be enjoyed on its own or used in many recipes from soups to desserts adding flavour and texture. Goat milk is a wholesome alternative to cow milk. Goat milk offers nutritional benefits similar to cow milk, but contains more natural vitamins A and B (Vitamin B3 or Niacin is nearly double to that of cow milk). Goat milk has the added advantage of being naturally homogenized – the fat molecules are smaller as well as containing shorter chains of fatty acids, which seem to be more easily metabolized by the digestive system. People intolerant to cow milk are often able to consume goat milk with no adverse affect, thus making it an ideal healthy alternative. 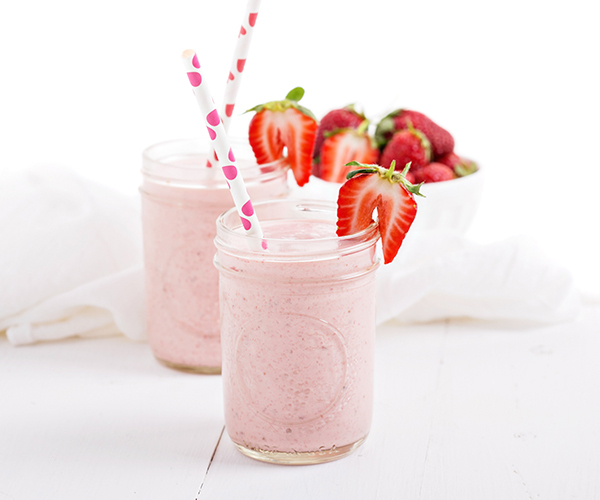 USES: Goat milk is delicious as a beverage and used in any recipe calling for milk. Goat milk is a wholesome alternative to Cows milk. Goats milk offers nutritional benefits similar to cows milk, but contains more natural vitamin A and B (Vitamin B3 or Niacin is nearly double to that of cow milk). Goat milk has the added advantage of being naturally homogenized – the fat molecules are smaller as well as containing shorter chain fatty acids which seem to be more easily metabolized by the digestive system. People intolerant to Cows milk often are able to consume Goats milk with no adverse affect, thus making it an ideal alternative to Cows milk. 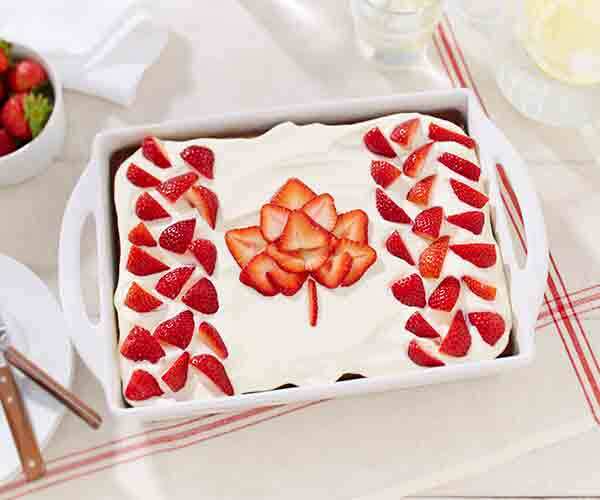 Made with 100% Canadian goat milk. Goat milk is a wholesome alternative to cow milk. Goat milk offers nutritional benefits similar to cow milk, but contains more natural vitamins A and B (Vitamin B3 or Niacin is nearly double to that of cow milk). Goat milk has the added advantage of being naturally homogenized – the fat molecules are smaller as well as containing shorter chain fatty acids which seem to be more easily metabolized by the digestive system. People intolerant to cow milk are often able to consume goat milk with no adverse affect, thus making it an ideal alternative to cow milk. Like Hewitt’s 1% milk, our skim milk contains natural minerals and vitamins, and has only Vitamins A and D3 added for your health benefit. 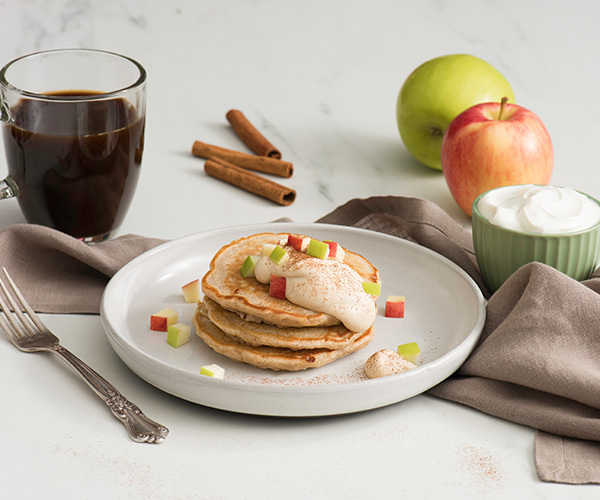 Skim milk contains less than 0.30% milk fat, and is an ideal choice for consumers watching their fat intake without sacrificing the nutritional benefits of dairy. 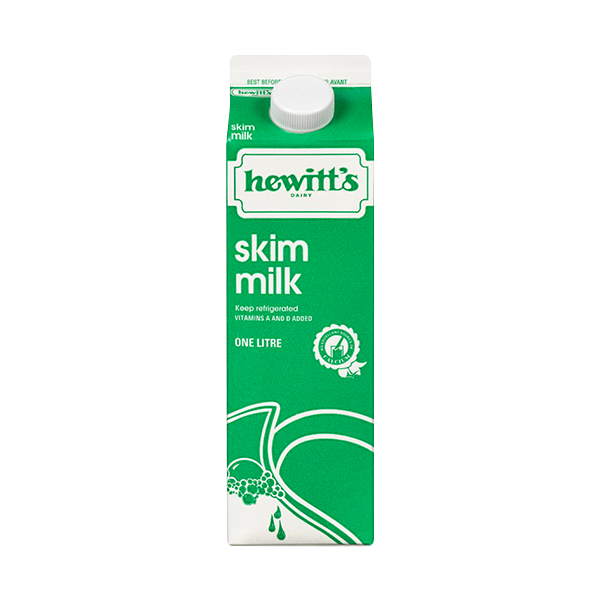 USES: Hewitt’s skim milk is a nutritious, refreshing beverage which can be enjoyed on its own or used in many recipes from soups to desserts adding flavour and texture. 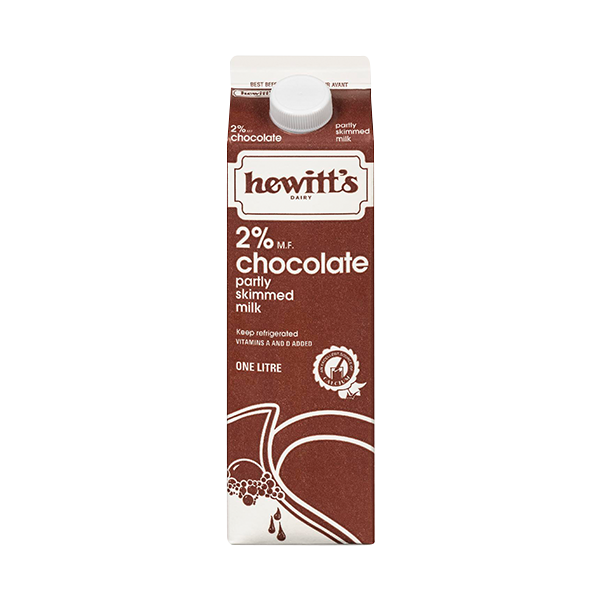 Hewitt’s Chocolate milk is a delicious, sweet treat containing all the nutritional health benefits of milk – calcium, vitamin A, and vitamin D3. Our chocolate milk offers a rich, smooth, creamy texture for your enjoyment. USES: Hewitt’s Chocolate milk is a delicious snack and energy booster to satisfy your craving, and keep you going. 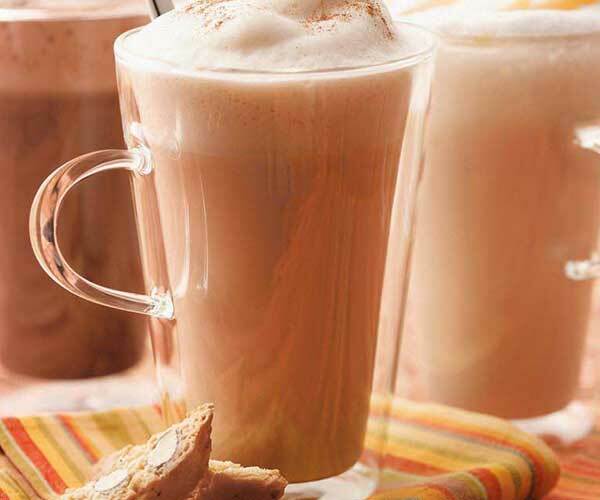 During the warm summer months, chocolate milk is quite enjoyable served over ice. Or, for those who are not fans of “white” milk, try chocolate milk with your favourite breakfast cereal. PARTLY SKIMMED MILK, SUGAR/ GLUCOSE-FRUCTOSE, COCOA, WATER, COLOUR, SALT, CARRAGEENAN, NATURAL AND ARTIFICIAL FLAVOUR, VITAMIN A PALMITATE, VITAMIN D3.